If you have a OnePlus device already lying around and have your eyes on the upcoming OnePlus 6, you are in luck. A revised trade-in program has been launched by OnePlus according to which fans who already own the company’s phone will be rewarded. Even though the most recent models are worth more, even if you have a OnePlus 3 you can still get some money for it. If you have a OnePlus 3, the OnePlus 3T, and the OnePlus 5, you can give it to OnePlus to get a voucher that can be used in the OnePlus store. So, you will not actually get money upfront, but a voucher can be used to buy another OnePlus device. The voucher cannot be used to buy the OnePlus 5T that was launched last year. 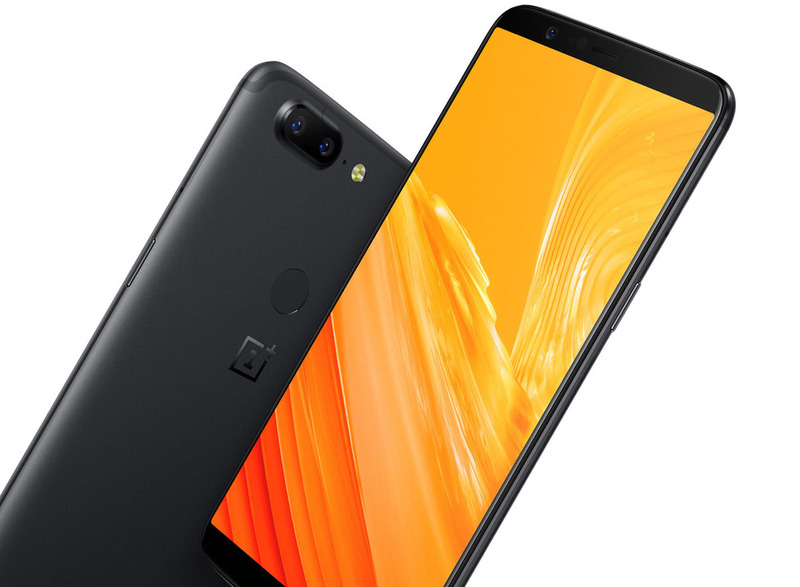 The OnePlus 5 with 8GB of RAM and 128GB of internal storage will contribute €264 ($313.57) towards the OnePlus 6, provided it’s in mint condition. The OnePlus 3T with the same specs will be worth €201 ($238.74). The OnePlus 3 or 3T trade-in will be boosted by an extra $20 by OnePlus as an extra incentive. So in short, you will get around $278.48 for the OnePlus 3T with the aforementioned specifications. You will get less money if your phone is not in a great condition. OnePlus also said that the trade-in values are subject to change, depending on how many phones the company receives. 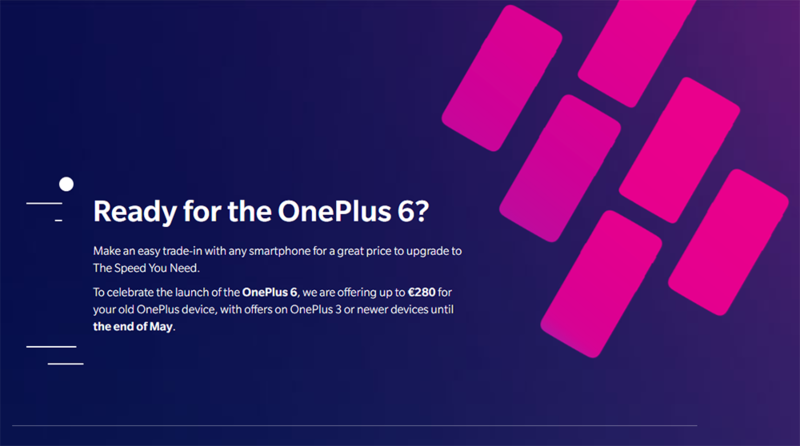 Right now, you have to send your old phone to get a voucher for the OnePlus 6, but in the future, trade-ins will be allowed even after the phone has been purchased. This way you will be able to transfer data to your new device before giving away the old one. However, you will need to show proof that you have bought the OnePlus 6. As of right now, the trade-in deal is only available in Europe, the U.K, and India. It is not live on the OnePlus U.S. landing page, but it is possible that the company starts taking in offers from this region. If you want to know more about the OnePlus 6, be sure to check out our extensive features, specifications, pricing and release date roundup here.